(PhysOrg.com) -- A Harvard physicist has proposed the Earth could be cooled by pumping vast numbers of tiny bubbles into the sea to lower ocean temperatures and increase the water’s reflectivity. The same strategy could be used in rivers and lakes to reduce evaporation. The bubbles in turbulent water already provide “undershine” beneath the surface, and these contribute around 0.1% of the Earth’s reflectivity, or albedo. Harvard University scientist Russell Seitz’s proposal is to use ships to pump tiny “microbubbles,” about 0.002 mm in diameter, into the sea as they travel, in a strategy he terms “Bright Water”. Seitz said the bubbles would, in effect, act as tiny mirrors containing air, and could be created by mixing water supercharged with compressed air with swirling jets of water. This would emulate and amplify a naturally occurring phenomenon. Using computer modeling, Seitz discovered that a concentration of only one part per million of microbubbles can double the reflectivity of water, and could cool Earth by up to 3°C if the system could be deployed. Adding microbubbles to a square kilometer of ocean is feasible, but Seitz admitted that scaling it to cover an entire ocean would be technically difficult, not because of the energy requirement, which he said would be equivalent to about 1000 windmills, but because of the fact that the bubbles may not last long enough to effectively spread over large areas. Geoengineering is a field that studies methods of making large-scale changes that may affect the entire globe, with the aim of reducing the effects of climate change. Other geoengineering ideas include adding small particulates to the air to increase the reflectivity of the atmosphere, and adding thousands of tons of iron oxide to the surface of the sea, or pumping nutrients to the surface to make phytoplankton numbers increase, carrying carbon dioxide to the bottom of the ocean with their bodies when they die. The long-term effects of all these proposals is unknown. See PhysOrg articles here and here for more on geoengineering ideas. Seitz delivered his findings last week at the Asilomar International Conference on Climate Intervention Technologies at Asilomar in California. He has submitted a paper on “Bright Water” to the Climatic Change journal. Sounds great. If you aren't an invert or coral. Seitz should ask a marine biologist to explain it to him. Basically, sessile inverts and corals have no way to expel air taken in orally - this can lead to problems, often resulting in tissue necropsy. SAVE THE PLANET - KILL THE REEFS! The planet's climate has been changing since there was a climate. 3.9 billion years or so. Leif the Lucky owned dairy farms in Greenland 1000 years ago. The climate was warmer then. The Hudson River froze solid enough Christmas of 1776 that General Washington ordered Cannon be dragged across at Haarlem Heights. The climate was cooler then. Except the fact that water vapor is a far stronger greenhouse gas than CO2 and traps not only outgoing but incomming energy, thereby making the problem a thousand times worse in addition to creating pockets of greater local salinity thereby killing several local species. So who's sea do you want to do it with? Uh huh...and they'd be getting the air from the surface, right, all nice and warmed up by the sun...but THAT air of course would NOT transfer its heat to the water underneath [magically] as it comes bubbling out...did I miss something or does this really sound like some arsenine high school project??? What about wildlife adapting to this rather strange scenario? What happens in a couple of hundred years when life begins surrounding this phenomena? When life begins living, feeding or even mating in this -- not large creatures at first but think about how extreme the change in conditions would be for e.g. plankton. And with plankton follows larger creatures. Is the plan to just keep pumping bubbles for all eternity? I just think there are numerous factors to consider so that we don't accidentally turn earth into a junkie. Problem is that also reflects more IR back in. H2O is a larger energy sink than CO2 by a factor of 100 or so as it absorbs along a far larger spread of wavelengths. Spray gigatons of seawater into the air, mainly in the Northern Hemisphere, and let Mother Nature do the rest, he says. a climate scientist at the Carnegie Institution's Department of Global Ecology at Stanford University, roughly simulated Ace's idea in recent months The simulated evaporation of about one-half inch of additional water everywhere in the world produced immediate planetary cooling effects that were projected to reach nearly 1 degree Fahrenheit within 20 or 30 years, Caldeira said. "In the computer simulation, evaporating water was almost as effective as directly transferring ... energy to space"
He proposes to install 1,000 or more devices that spray water 20 to 200 feet into the air, depending on conditions, from barren stretches of the West African coast, bluffs on deserted Atlantic Ocean isles, deserts adjoining the African, South American and Mediterranean coasts and other arid or windy sites. To maximize cloud formation, he'd avoid the already humid tropics, where most water vapor quickly turns to rain. "It does seem like evaporating water outside the tropics would be more effective," Caldeira said. The spraying would be targeted mainly at higher, northern latitudes, where Ace thinks that air currents known as Ferrel Cells could deliver heavy snow to the Arctic, offsetting the melting of the polar icecap. Several scientists who reviewed Ace's patent petition for McClatchy reacted with caution to outright derision over its possibilities, but some softened their views upon learning of the computer model. If this was how it would work then CO2 wouldn't be a problem in the first place. Convection cares not what molecule you're made of, simply whether you're an insulator or a conductor. If this solution bears merit by this mechanic, then CO2 is not a prevailing factor in climate change. It seems to me that the net heat gain of the entire planetary ecosystem will not be lessened by any scheme which involves any kind of absorbtion or transfer from one component of that system to another. The only plausible mechanism is to increase radiation back out into space, or increase reflectivity such that the out radiation exceeds the absorbed incoming solar energy. Somehow increasing the albedo of the oceans would likely work, and there may be ways other than the bubbles proposal---but if every rooftop of every building in civilization were covered with reflective paint, the effect would be significant. This kind of articles warrant a dedicated section "Bizzare solutions to non-existent problems". Oh, wait, there is Annals of Improbable Research magazine already. 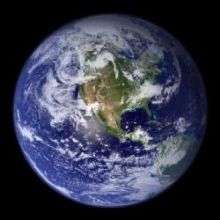 A change in less than .5% of the earth's surface would make no difference. Do you own a paint company? Now you've got it! H2O is a negative feedback factor, 100X as powerful as the puny effects caused by CO2. Is moronity a word? This is completely insane. Humans are not changing the climate. The climate is changing as it always has and always will. At least until there is no more climate. The amount of energy required to put bubbles into our lakes, rivers and oceans sufficient to achieve this miraculous reflectivity would be incredible. If it could be achieved at all, (highly doubtful) it would be at the expense of all productive economic activity. What good is a perfect climate if humanity starves trying to achieve it? And, just what is a prefect climate? For whim?